Both beer and our palates can be seasonal. What I mean by this is that certain beers, such as winter ales and lagers, are only available at certain times of the year and this is due in part to what the majority of beer drinkers want to drink at those times. For the sake of argument, imagine yourself on a hot balmy day just after you engaged in some physical activity outside in the heat of the sun such as mow the lawn. Aside from possibly wanting to drink water or a sports drink, you probably feel like having a nice cool refreshing beer. Imagine if you could have any beer on earth what would it be? Would it be a boozy barley wine, a thick imperial stout, or would it more likely be a session IPA, a golden lager or maybe even a grapefruit shandy? If you said a Russian Imperial Stout you are as odd as I am and that is OK also. The point is, in general we tend to prefer lighter beer in warmer temperatures and heavier beers when it is cooler. This is similar to wanting to drink ice tea in the summer and hot chocolate in the winter. 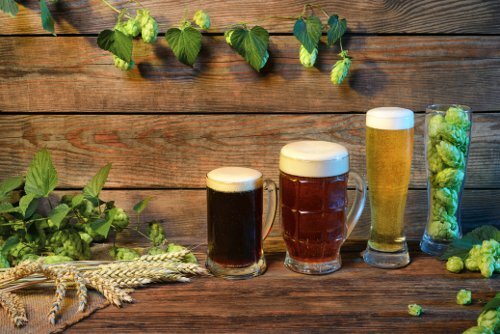 Granted, marketing has a lot to do with what we drink and when, as does shelf space at the grocery store, but when you look at the history of beer styles and where they hail from, you get a bigger picture of why certain beers are traditionally only available certain times of the year. For example, in the past the availability of certain beers might have had to do with the lack of refrigeration or was possibly due to the availability of certain ingredients that do not store well based on harvest times. 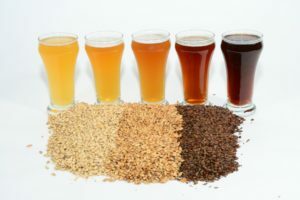 There are a lot of factors that can come into play in the brewing process of beer that, before the industrial age, regulated what styles of beer were available in certain areas and when. Sometimes even politics have gotten involved such as through taxation based on the size of mash tuns used in the brewing process, restrictions on brewing supplies from other countries or regions, and even laws defining what ingredients can be used to make beer. In the past religious and cultural beliefs have also played a huge role in who can brew beer, how it is done, and what can be put in it and when. For many cultures and religious denominations special beers containing certain adjuncts were used to cure particular ailments and they were only allowed to be brewed by certain individuals. With the craft beer movement and technological advances like refrigeration, cargo planes and vacuum sealed storage a lot of those specialty brews are making a comeback, but not really for medicinal purposes or to skirt some obscure law. They simply are coming back because both brewers and consumers alike are finding these special brews intriguing and good. The craft beer movement is so strong in fact, that laws in some areas are getting rewritten to encourage the production of craft beer. Consider however that our sense of what tastes good evolves. There can be medical reasons such as losing our sense of smell due to a virus, brain injury or similar event, but there can also be environmental reasons and personal habits that change what tastes good to us. Consider a person that moved from a desert area to the coast where the air is filled with aromas from the ocean. Similar to pairing beer with your food or food with your beer if that is how you roll, you might also have to pair beer with your environment. If you visit to a place high up in the mountains, do spruce tips in your beer suddenly seem more enjoyable compared to when you had the same beer at a lower elevation? What about the person that recently quit smoking; does he find himself suddenly liking beers with more subtle flavors? Many people discover as I did that most beers really do taste better when served in the proper glassware as opposed to being drunk directly from a bottle or can. An even bigger factor for me is that as I try different beers, especially ones that cost more, I find that my old go-to beers are no longer satisfying. I have also found that my palate gets bored with the same brand and style of beer all of the time. As the saying goes “Variety is the spice of life.” So I do alternate between different breweries and styles, and quite often in the same sitting if I have more than one beer. This is a very common trend in the craft beer world and it is the main reason why you find so many breweries that offer rotator beers, and it also helps explain why your favorite beer is on the shelves at your local grocery store one week and not the next. On one hand this can be a bad thing for the brewery, but on the other more breweries get to sell beer in the limited amount of shelf space. Really it is a win, win unless of course you did not stock pile your favorite beer while it was available. So what beers should you drink in the summer time and which ones in the fall, spring and winter? You should be drinking the ones you enjoy the most at that time if they are in your possession. If you are out of your favorite beer, try something you have not tried before, preferably at your local brewery. Remember, your sense of taste is always evolving so what you loved yesterday might not be what you love today. If you find yourself trying a beer that you do not like, now you know, but do not write it off entirely because you might find out later that a different brewery has a different take on that style that you really do like. Yes, your palate is seasonal, but do not jump to the conclusion that you should love to drink what is seasonally available at the local store. If you can, save what you like for those special occasions and even better, brew what you love. However, if you are all about tradition, drink what is traditional for the current season and you can’t go wrong.